It’s 2:00 a.m. on the Camp Pendleton coastline. Along the pitch-black rigid waters, an unknown object sends a signal to a Marine monitoring the shores with the lattice modular heli-drone security system. With the lift of a finger and press of a button, a drone is deployed to investigate, relay back crystal-clear footage and provide images that reveal a smuggling vessel slithering its way through our waters. This is one of the many scenarios that can be prevented with a new cutting-edge security system demonstrated to Marine Corps Installations West leaders on Nov. 8, 2018. The system itself consists of three sensor mast towers, which can monitor up to six nautical miles that detect any unusual objects or vessels, and relays information back to a command center. From that point, the operator can deploy a fully automated drone directly to the object for a closer look. 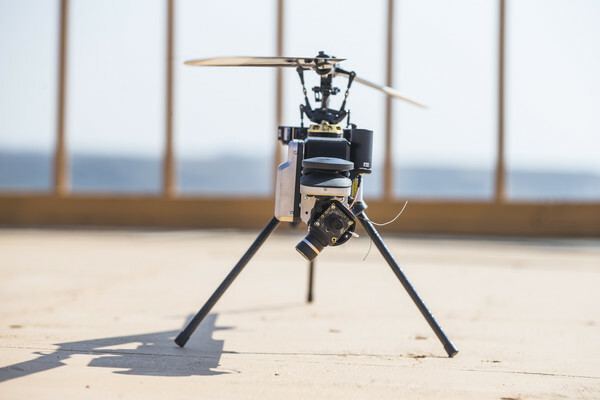 The drone provided gives the system that’s already in place an additional asset that can expand its capabilities beyond its normal boundaries. The drone offers more detailed surveillance by relaying high-definition video and photos, can track objects by following or orbiting, and, with its engines allowing it to reach speeds of up to 60 mph, ensure nothing can escape its sight. The tower and drone systems are fully automated, meaning all someone has to do once a threat is detected is deploy the drone, eliminating the need to assemble an investigation team. While it also eliminates the hazard of sending people to investigate, it is also significantly cheaper than the current and similar security systems, which translates to saving more lives at less the cost. As one of the largest bases in the western region of the United States, ensuring we have the best possible means of security is a top priority. If acquired, this system would greatly improve, not only our coastal security, but our inland security as well.